Hey, all you people out there. Do you ever feel like you are exhausted for no good reason? Do you have problems sleeping at night? Do you commonly feel like bodily excrement (aka poop)? Then, maybe you should be taking a multivitamin. I posted a while back about how I started working out regularly as part of my internship in motherhood. I am proud to say I am still doing it and still seeing (and feeling) positive results. So, the admonition still stands -- get off that chair and get movin'! However, I recently started feeling pretty horrible during the day, even with exercise. I was too tired to get up in the mornings (even at a reasonable hour), was restless at night, and needed a nap during the day. I got lots of headaches and generally felt horrible. What the heck was wrong with me? I wasn't pregnant (don't worry; I took a few tests to confirm this), and I was pretty sure I didn't have a debilitating disease of some kind. And then it hit me: I am not getting enough vitamins. We eat relatively healthy around here. I always make it a point to serve fruits and vegetables throughout the day. We eat whole wheat bread and all that good stuff. We snack on carrots and cheese sticks instead of chips and crackers. We rarely have sweets. But, even with a decent diet, my body wasn't being nourished properly. And boy, it was trying to tell me. Practically screaming at me, really. What to do? I remembered when I was pregnant with Bubby, I wasn't very religious about taking my prenatal vitamins. In fact, I took them for the first 5 weeks and then stopped. A few months into the pregnancy, I developed an iron deficiency. So, I couldn't stand longer than 5 minutes without getting dizzy or blacking out. Not an exaggeration, sadly. If you knew me during that time, maybe you remember me passing out on a few occasions. It was not pretty. A blood test confirmed I was, in fact, anemic (!). I felt so bad for letting it get that far. Anemia. My poor baby. All because I just didn't want to swallow that son-of-a-biscuit horse pill every day. How dumb was I? My doctor recommended taking 2 Flinstones' vitamins (chewable!) and one slow-release iron pill every day. Amazingly, I felt better right away. No more passing out! No more exhaustion. No more dizziness. I could function again. Too bad I suffered nearly 30 weeks before realizing this. Fast-forward about two years, and what do you have? A non-pregnant woman who feels much like a blob of jelly with a headache. So, I went to the store and picked up some Flinstones. I've been taking them for about a week and you know what? I feel better again! I can wake up at a normal time and I don't need a nap during the day. Headaches stopped. I'm cured! Flinstones are great because they are chewable (I think they taste rather like SweetTarts candy). No swallowing necessary, which is great if you have the World's Most Sensitive Gag Reflex like me. And they're not really that expensive. 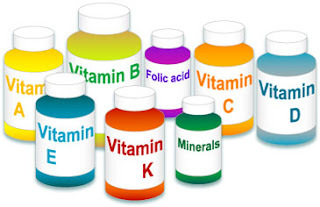 If you want to be SuperMom (or SuperDad; I don't discriminate), start taking a multivitamin. You'll realize you can do so much more than before! You'll be happier. And you might start looking prettier too. I take a multi-vitamin and a calcium pill every day. GNC offers many useful multivitamins for good health... I like to use them! !